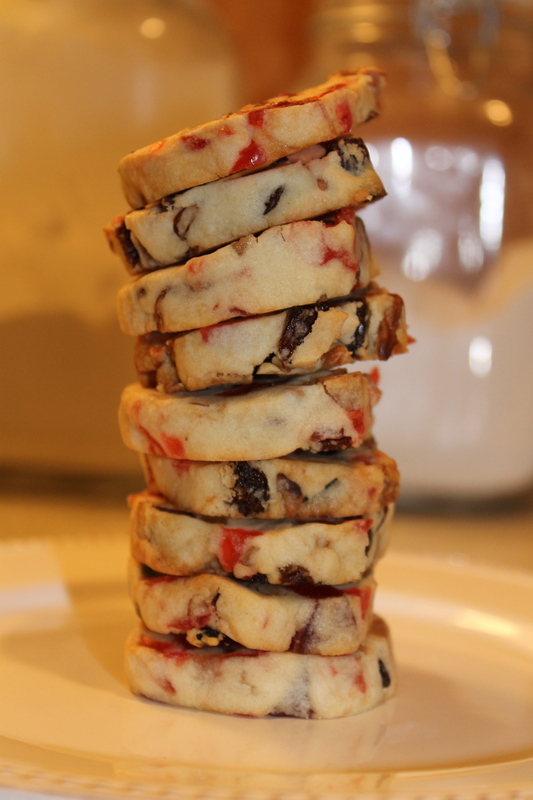 [not the usual] fruitcake cookies. Something about the holiday season urges people to host cookie swaps. While I won’t be attending any swaps in person this year, Maddie and I participated online. Love & Olive Oil, along with The Little Kitchen hosted the Great Food Blogger Cookie Swap. It took some digging through my mothers old wooden recipe box, but I found a recipe I thought not many others would use and something I knew tasted good. When you read the name of the cookie, the word fruitcake and the negative connotations that come with it skew your idea of how deliciously good this cookie can be. Rest assured, this is not your run of the mill, inedible block of random fruits that no one wants to go near – these cookies are tasty! In mixing bowl, cream butter & sugar; beat in egg, vanilla & rum flavor. Gradually add flour & cream of tartar, beating just until mixed. Stir in cherries, pineapple, raisins & nuts. Divide dough in half. Roll each into a log about 2 inches around. Wrap in wax paper – freeze firm. To bake, slice cookie rolls ¼ inch thick with a sharp knife; place on a greased baking sheet & bake at 375* for 12 – 14 minutes until lightly browned on edges. Cool on rack. Tell us your favorite cookie! Glad you enjoyed the swap! I really liked it too. I even was paired with someone in (west) Missouri! Thanks! 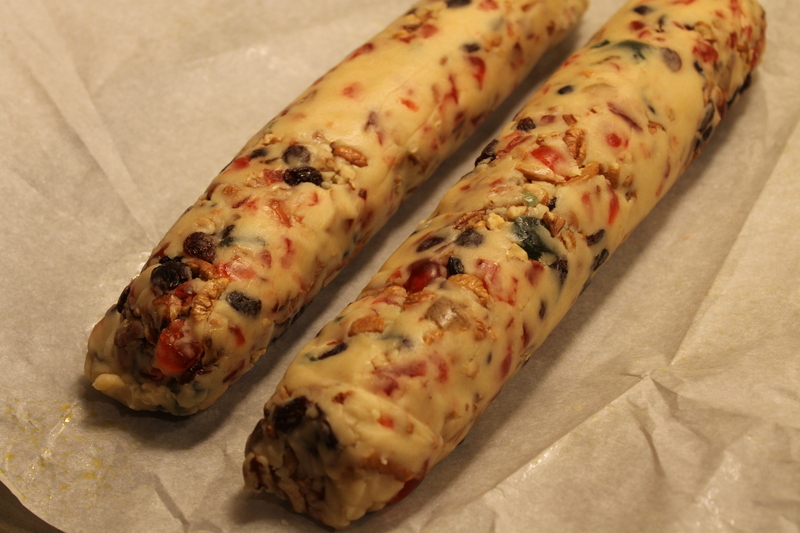 They actually taste a lot better than actual fruitcake too! Happy to send ’em your way – glad you enjoyed them. 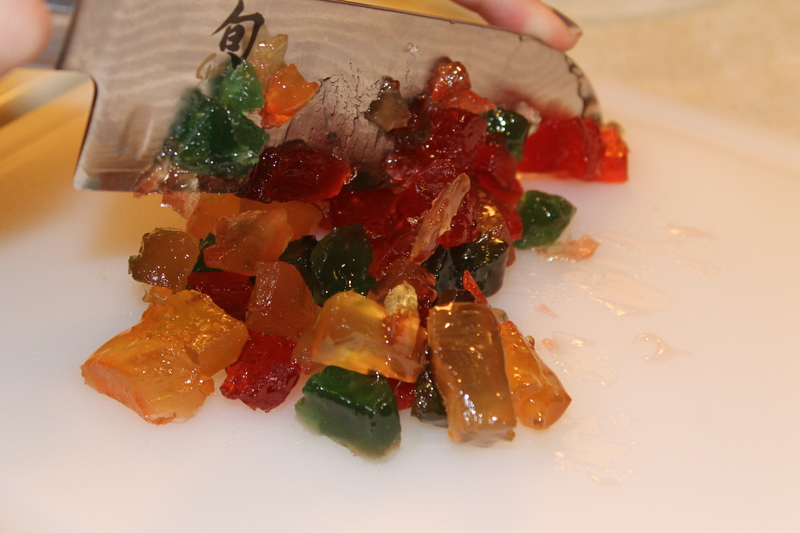 THOSE LOOK LIKE GUMMY BEARS. I thought the SAME thing when I took the photo! I was one of the recipients of these fabulous cookies and am finally getting around to saying thanks. They were surprisingly good! 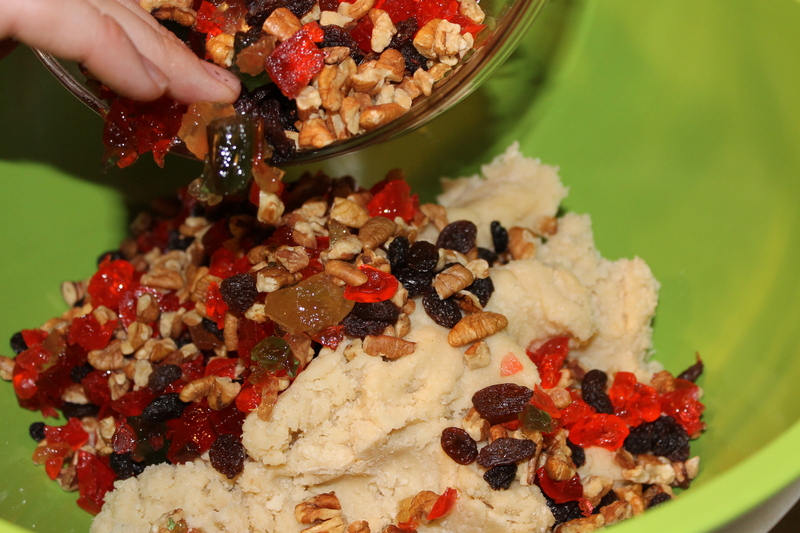 I really liked the unique taste of candied fruit in a cookie and the nuts complemented it well. Happy holidays! Happy Holidays to you! I was surprised how they came out. 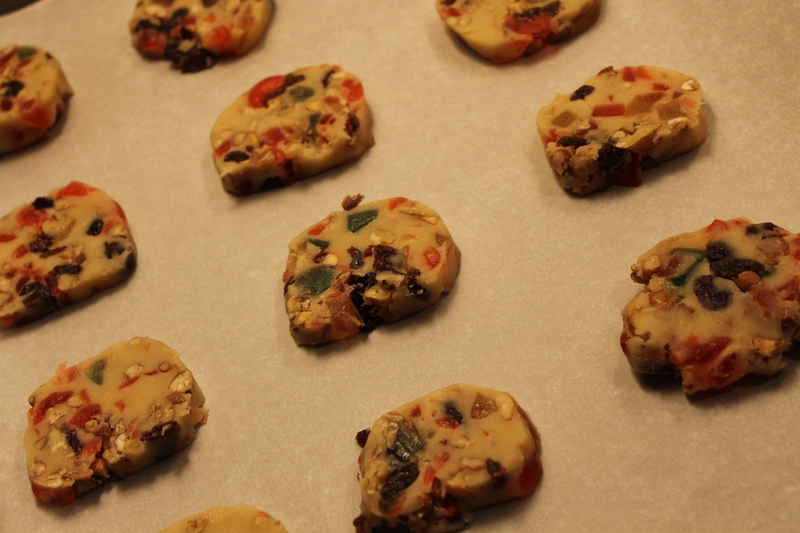 When Jess suggested we do Fruitcake cookies, I was rather hesitant. Who really loves Fruitcake? 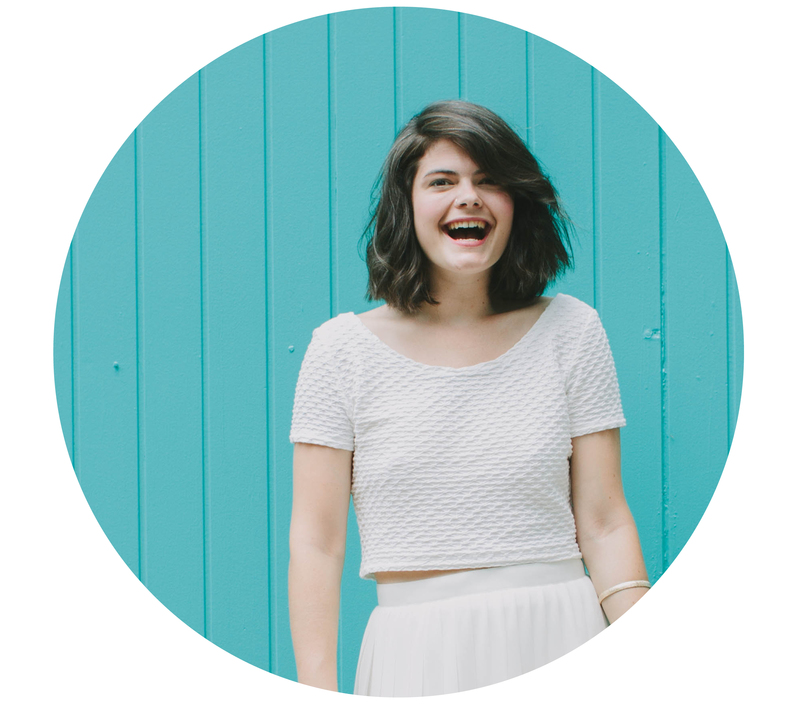 I’ve been checking out your blog, and it’s super cute! Can’t wait to make some of your cupcakes. I love Fruit Cake. No one else in our home likes it.